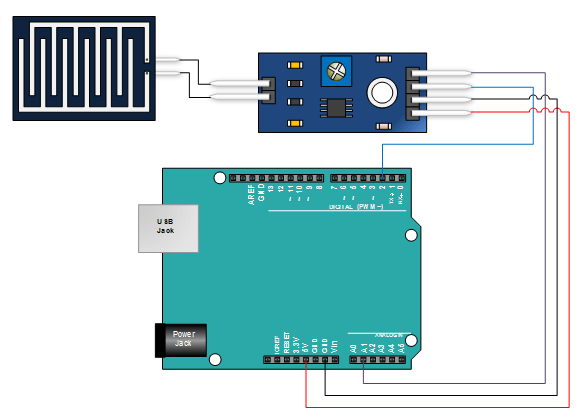 People can monitor the rain sensor easily by using Arduino platform through Web. This project would be included in Sensing & Gathering category of WIZnet Museum website. The rain sensor detects water that completes the circuits on its sensor boards’ printed leads. The sensor board acts as a variable resistor that will change from 100k ohms when wet to 2M ohms when dry. In short, the wetter the board the more current that will be conducted.